An entrance gate is one of the best investments you can make for your home or business. We are pleased to provide a large variety of entrance gate designs, ensuring you can choose from best products around to fit your budget and needs. Selecting the right entrance gate for your property is just as important as selecting the front door to your home. It should be sound and secure, attractive and functional. It should also be able to withstand daily wear and tear. Let us show you how an entrance gate can transform your property and improve your daily life. We are proud to offer products with excellent warranties. The manufacturers’ warranties on our gate products range from 2 years to 5 years. A gate installed at the entrance of your driveway or grounds is a physical deterrent to unwelcome visitors. This is especially important in non-gated communities where the potential for trespassers to enter your property is higher. Sadly, crime is part of daily life in America, but an entrance gate sends a clear message that your property is secure. The right entrance gate will give you and your family peace of mind. While an entrance gate keeps intruders out, it also keeps our small loved ones in. An entrance gate will deter children and pets from exiting the premises without supervision. It gives parents the assurance they need that toddlers and furry friends won’t wander. A custom entrance gate for your home or business gives your property a finishing touch. Our team will help you find or design the perfect gate to complement your home’s architectural features. When visitors approach, they’ll immediately notice your gate’s commanding look. An entrance gate is a great way to increase your property value. A gated entrance is a huge selling point for future buyers, who, like you, will appreciate the safety and curb appeal. Every day in the United States, about 10 people die in unintentional drownings, according to the CDC. Even more suffer life-changing injuries from drowning incidents, including long-term brain damage. One of the best ways to prevent tragedies like this from happening to your loved ones is to install an entrance gate and fence around your swimming pool. It’s an easy way to save a life. 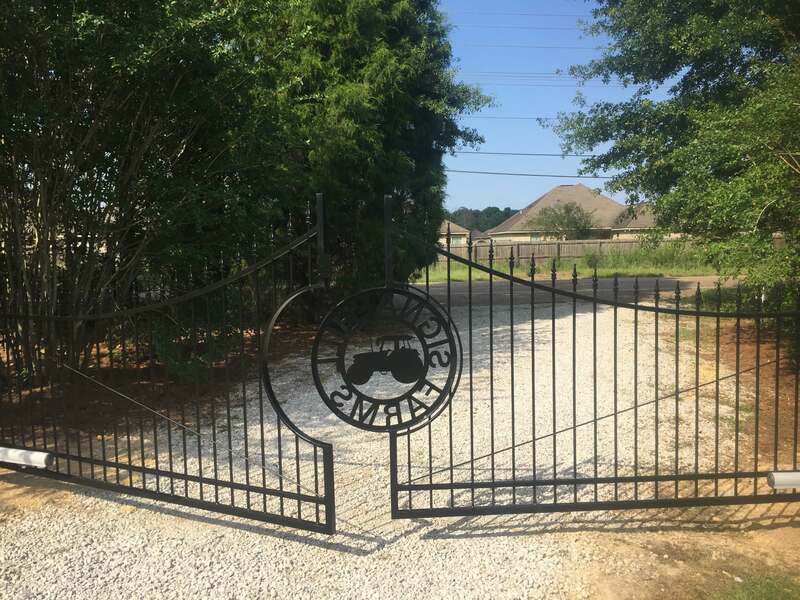 In addition to the standard gate options that blend in with the surrounding fence, we can also build out a fence that has some design elements including an arch at the top, columns flanking the sides, and more. To get a quote on our fencing options with an entrance gate, contact us today!